Sometimes, when confronted with a pile of shiny, new, miracle hair products, it’s hard not to wonder if any of it is better than what our forebears used. After all, man did just fine for thousands of years without hair CC cream. 1. 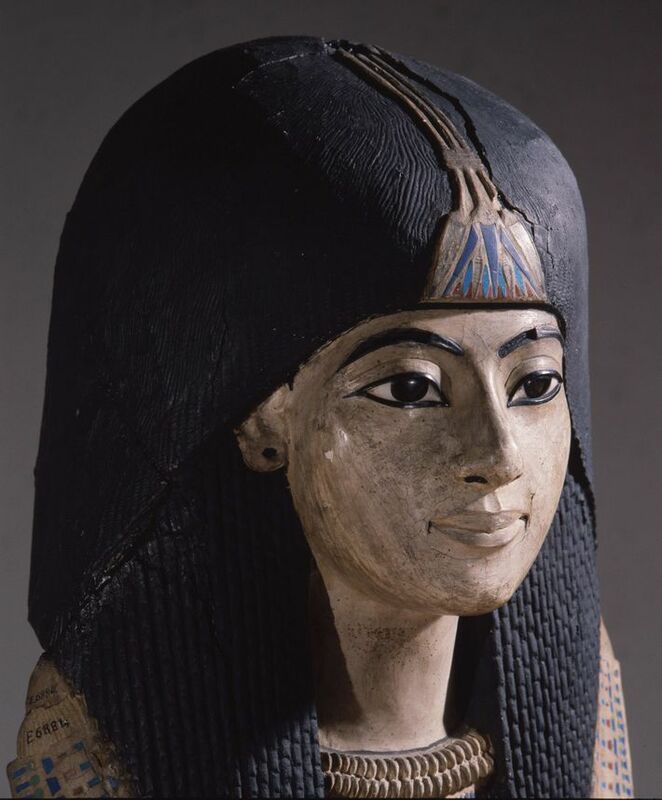 Ancient Egyptians: Forget argan oil. According to research on mummies (believed to be from 300 BC), the ancient Egyptians used hair products made of both animal and plant fats. Researchers have also found curling tongs buried with mummies. Good hair-care products are definitely worth taking to the afterlife. 2. Ancient Greeks: Findings have shown that women in ancient Greece used olive oil to condition their hair. Can your modern lab-made silicone or fancy polymer also be used for dipping crusty bread in? No. Ancient Grecian hair oil: a two-for-one. 3. Victorian and Edwardian Periods: The Victorian era was a golden age of “miracle” health treatments. There were tonics and capsules available for everything that ailed you. “Capsuloids Hair Restorer,” a pill marketed for grayness and balding, contained hemoglobin (a protein found in blood) derived from bull blood. And people think snail slime in face cream is gross. Hair-curling tongs that looked like blunt, rounded scissors were also popular. (Curling technology apparently hasn’t changed much since Egyptian times.) Women heated the ends of the tongs in the fire, then wrapped their hair in special curling papers so their hair wouldn’t scorch. 4. 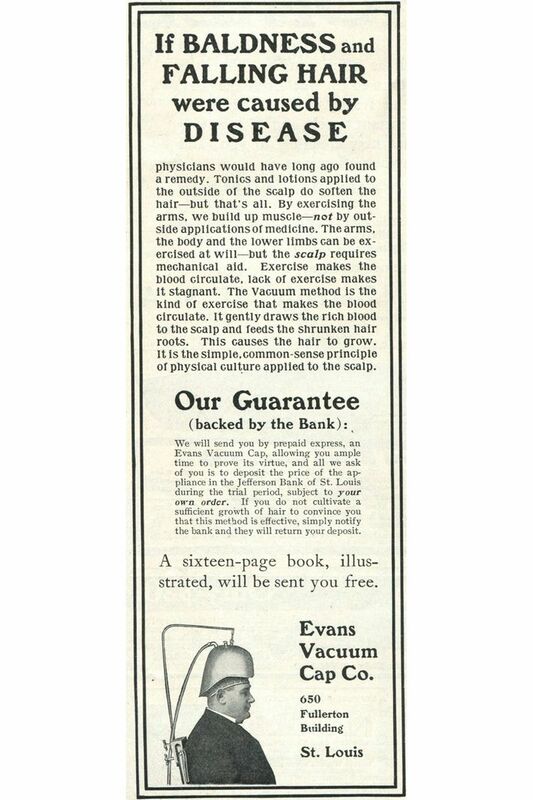 Early 20th Century: Vacuums were touted as cures for baldness in the late 1800s and early 1900s. They supposedly worked by creating increased circulation to the scalp. Users had to make a seal around a vacuum cap headpiece with petroleum jelly or beeswax. 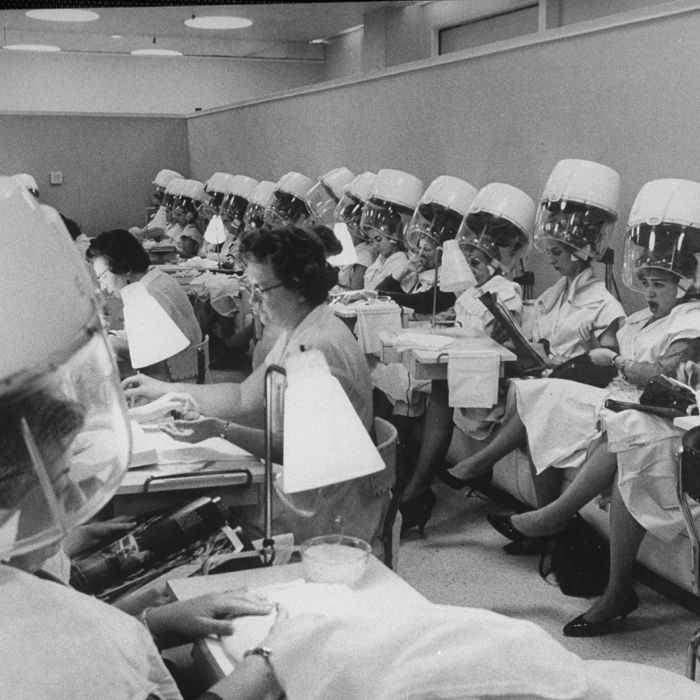 One inventor even suggested using the device with diluted formaldehyde on your scalp before applying the vacuum cap. Nothing like a toxic scalp facial! 5. 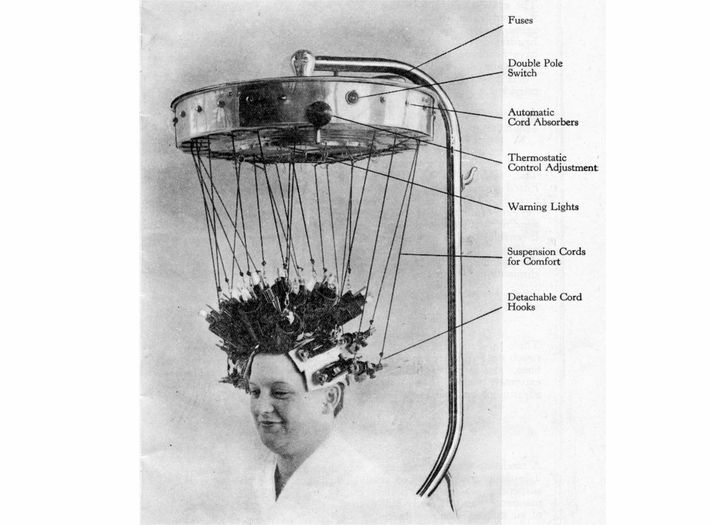 Pre-World War II: The Icall permanent-wave machine, a horrifying-looking device, was actually quite technically advanced for its time. The curlers were suspended from a frame via electrical wires so that no electricity or heat directly touched women’s heads. The curlers were heated up, then unplugged before being applied, assuring that no one was accidentally electrocuted. These fell out of favor when the chemical perm was invented in the late 1930s.